This gift is about as easy as you can get. 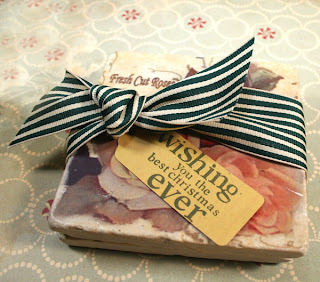 I purchased this set of ceramic coasters for a gift, tied a bow around them and added a tag. You don't have to do a lot to make a gift very personal. it sure beats giving it to them in the store bought packaging. Keep it simple is a good rule this time of year. You are so right -- I LOVE this with the fun ribbon and tag!!! Great presentation! Love the ribbon and tag!